Welcome to The Dance Company! To reserve your place in class, please complete this registration form. I (or my Parent/Guardian if I am under the age of 18), hereby acknowledge participation in photos/videos taken by The DANCE Company and/or their representatives, including the use of my image likeness, resemblance, or any feature of my representation. Such images may be featured on our website, social media and print media. In consideration for being in the photos/videos, I am not making or will not make future claims for compensation, remunerations, or favors - I am willfully participating voluntarily. The DANCE Company, its subsidiaries, or any other entity, people or person it desires, may use this photography for any reason, including but not limited to, promotional, commercial, or personal use. The DANCE Company, its subsidiaries, and representatives, are indemnified against any lawsuit, claim, or action that may arise regarding this photography. If you choose to participate, please check below. If you choose NOT to participate, please check below then write in the COMMENTS section at the bottom of the registration form, "I do not wish to participate in photos/videos taken by TDC." New students must complete a registration form and pay a $45 Registration Fee. Returning students must complete a registration form and pay a $30 Registration Fee if they have been absent from classes for 3 months or more. All students must pay a full month's tuition at the time of registration. Tuition is on a monthly basis regardless of how many weeks are in a month. Payment is due the first day of each month. A $25 late fee will be charged for tuition payments received after the 10th of the month. An additional $25 will be charged the 1st of the month for each month that the tuition is outstanding. Students will not be admitted to class after tuition is 20 days late without payment of all tuition due plus late fees. Preaddressed envelopes are available in the office for those who want to mail in their tuition payments. Returned checks will be charged a $30 fee. Also, if a check is returned after the 10th of the month, Late Fees will be assessed. Students enroll for class(es) by the month. Please call or inform the office if you cannot attend your scheduled class(es). This constitutes an Excused Absence (EA). EA's allow a student to make up missed classes. EA's must: (1) be reported in advance of a missed class, (2) be taken in a class other than the student's regularly scheduled class(es), and (3) be used by the end of the following calendar month. In case of inclement weather (e.g., snow, ice) The DANCE Company does not always follow Fairfax County Public Schools (FCPS) openings/closings. For weekday morning classes only (Monday - Friday), there will be no class if FCPS are delayed or closed. For all other classes, call (703) 385-8838 one (1) hour prior to your scheduled class to check the status of classes. The answering machine message on that line will advise you as to if we are open or closed. Messages advising the status of classes will also be posted on all social media outlets. Classes missed due to inclement weather can be made up in a class other than the student's regularly scheduled class or the teacher may reschedule the class at a later date. 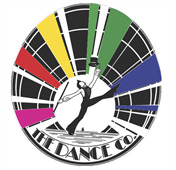 The DANCE Company has two (2) performance opportunities for most students during the year. A Winter Showcase is held in December. Classes participating in this show are those with students under the age of 18. The second performance of the year is Revues in June. All classes (except those denoted as non-performing) participate in the June Revues. Please note, however, that participation in any performance is left to the student/parent, and that the choice to not participate will not change the quality of a student's dance instruction.